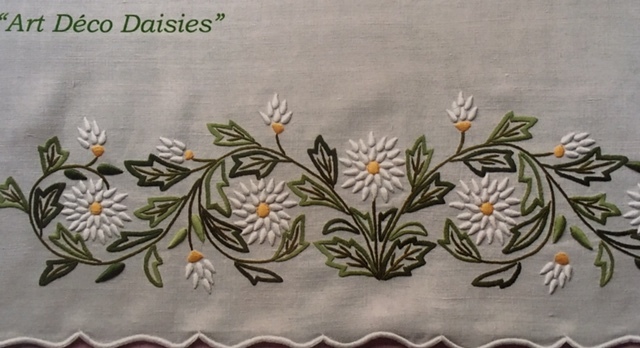 or a million other variations, all as unique as you are. 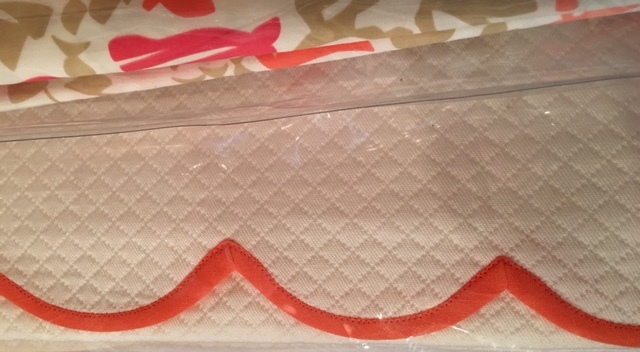 Most of our beds have pillows with cases or shams (or a couple of each), a bottom sheet which is either fitted or loose, a top sheet , a blanket, perhaps a blanket cover (few of us still use these) and a bedspread, which falls to the floor or a bed coverlet, which falls just below the meeting of the mattress and the boxspring. 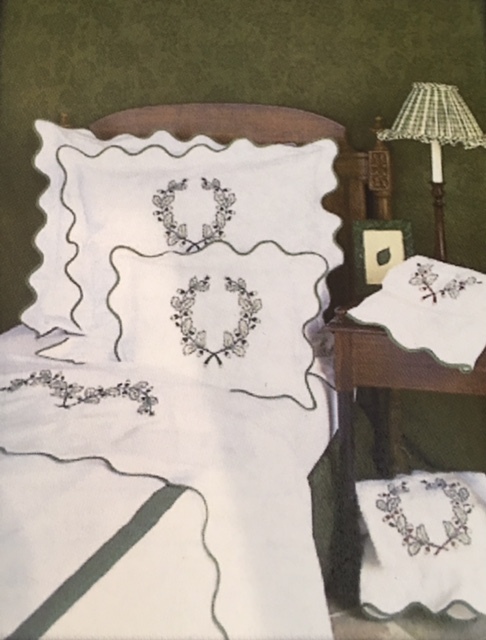 Some of us like to add a folded quilt or down-filled duvet at the end of the bed for extra added comfort on a crisp night. 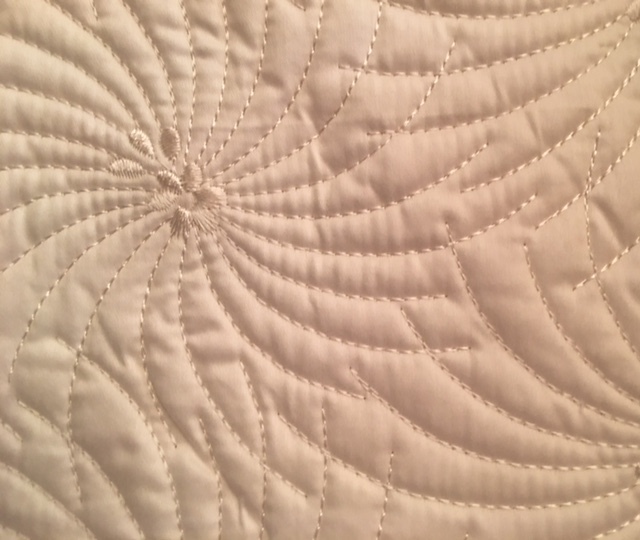 More often than not, a crisp night in Florida is when your significant other decides the bedroom should be more like an icebox and navigates the thermostat to 65 degrees. 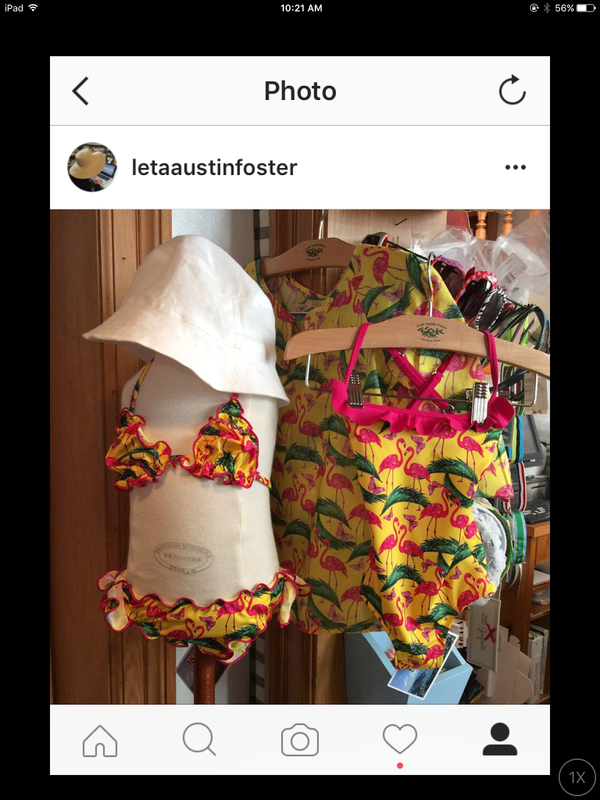 Brrrrrr ! The majority of covers that we sell in the Boutique are coverlets. 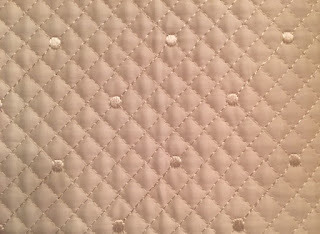 Most are diamond quilted or bird's eye piqué. 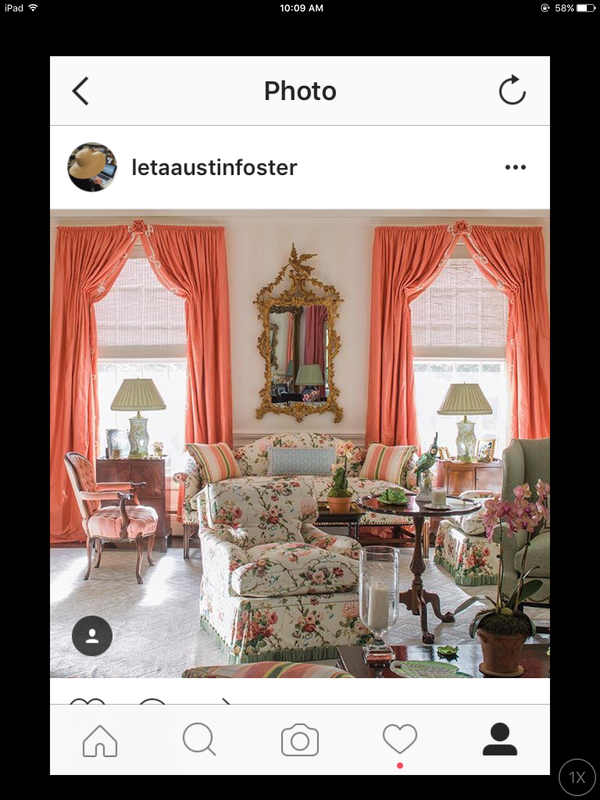 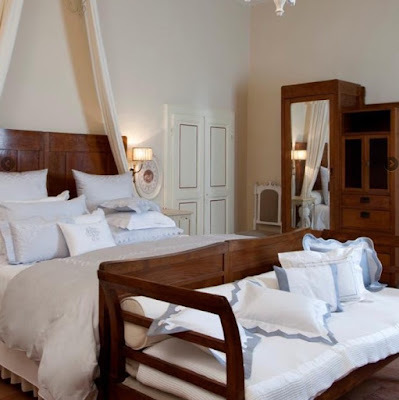 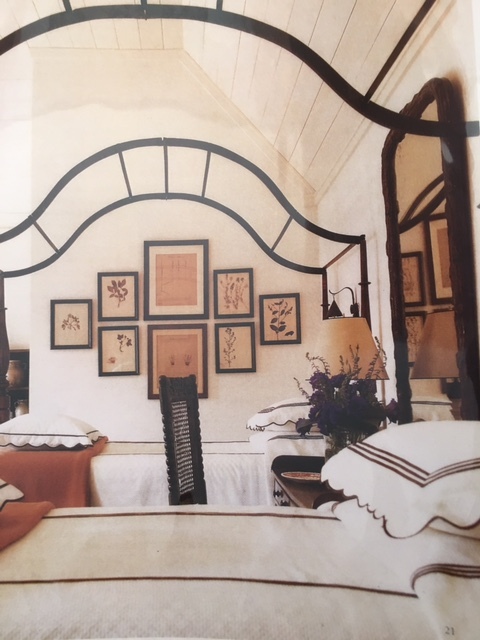 Most are white.......I usually recommend white, even if the room is ivory, as it looks cleaner and brighter and very French....mais,oui! 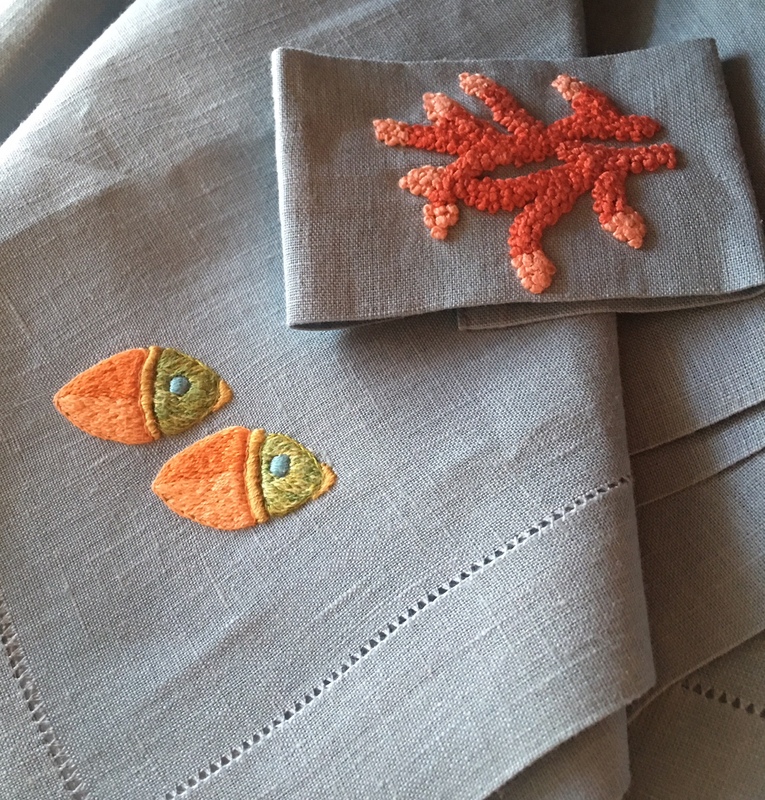 Most are scallop-edged, either bias trimmed or embroidered scallops. However, with that said, there are many other options to choose from and there is no reason that you can not make your bed coverlet as personal as the rest of your linens. Matouk makes coverlets that are large-patterned and made from colored sateen sheeting material. 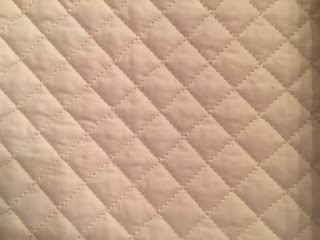 Matouk is also the only one of our companies that still makes a diamond-quilted coverlet in colors. 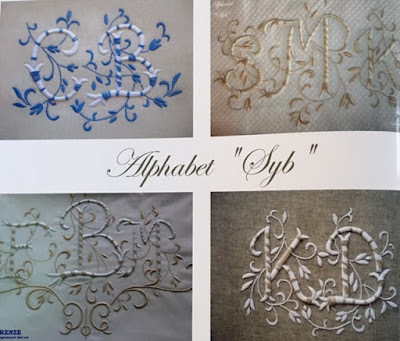 They are a cotton/poly blend which makes them very affordable. 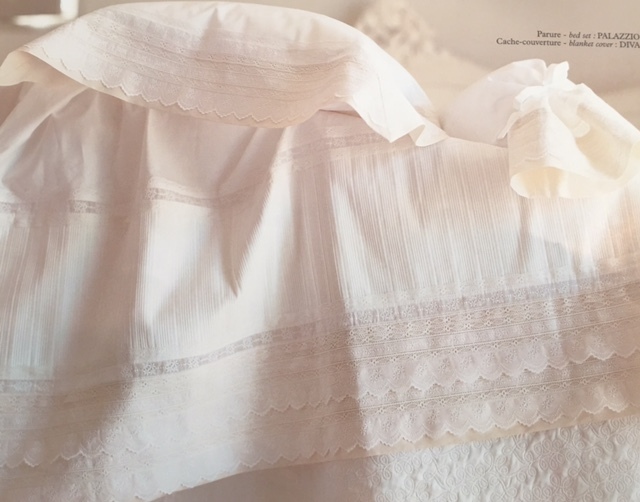 Baroni has an ottoman fabric that makes a wonderful coverlet and like their diamond-quilted fabric and their bird's eye piqué fabric, can be finished with a plain hem, straight bias-trimmed hem , scallop bias-trimmed hem or embroidered scallop hem. 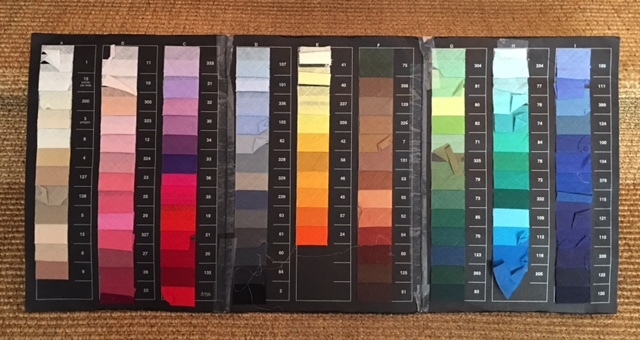 The bias tape trim comes in dozens of colors and the embroidery thread colors are nearly limitless. 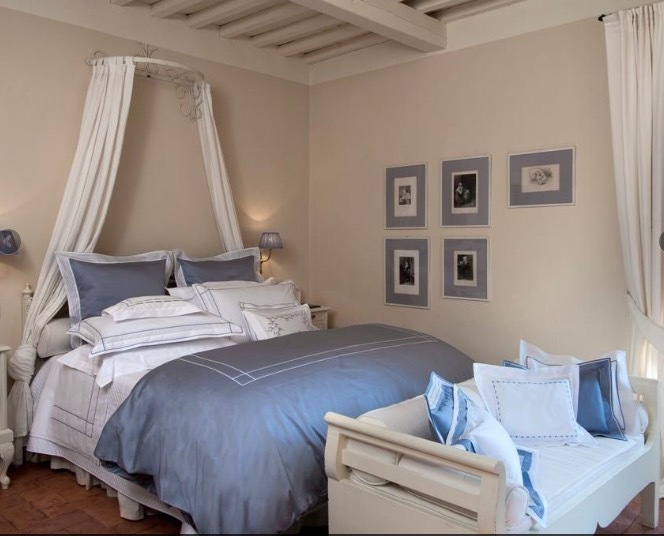 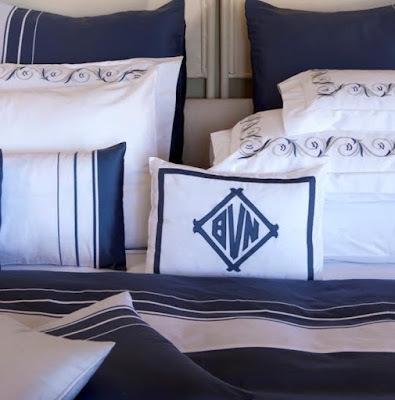 Bagni Volpi has several textures and quilting pattern choices for their coverlets. 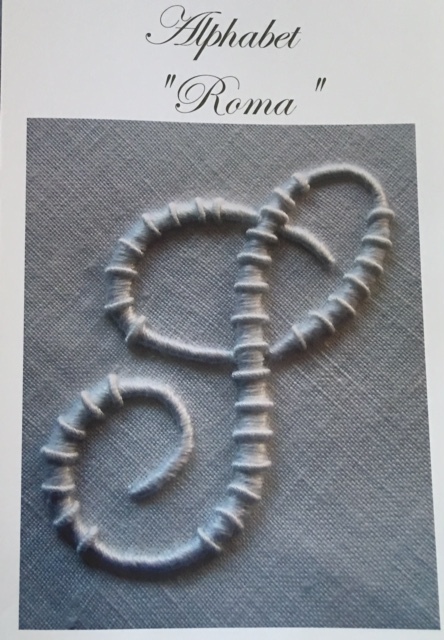 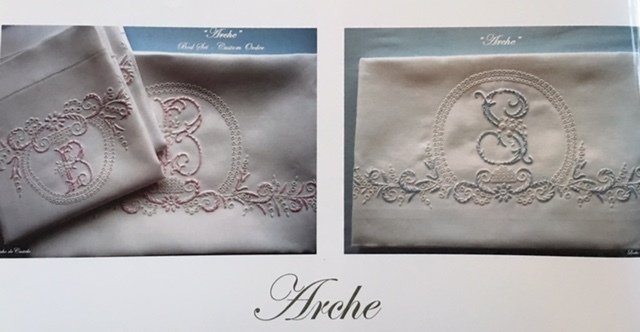 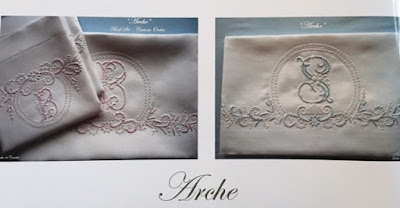 They offer them all in either white or ivory and one, "Terrace" in 12 different cotton sateen colors. 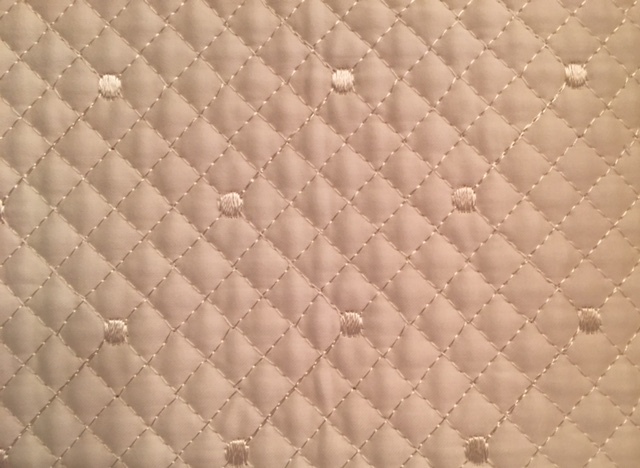 Most of our companies use 100% cotton fabrics, which they pre-wash for us so as to limit the amount of future shrinkage. 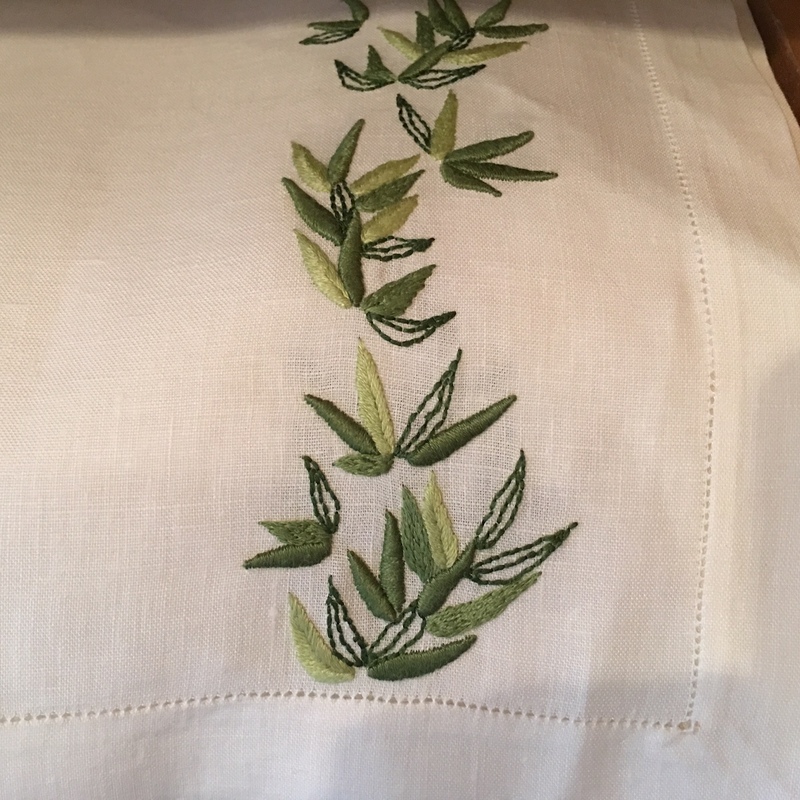 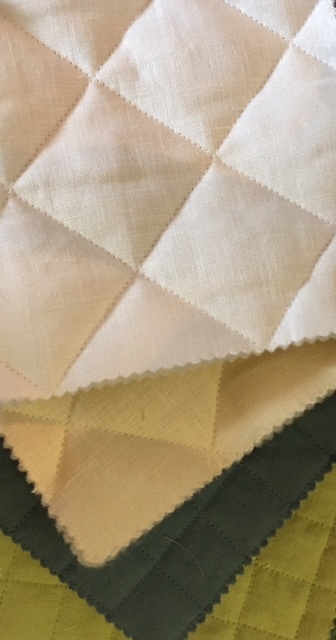 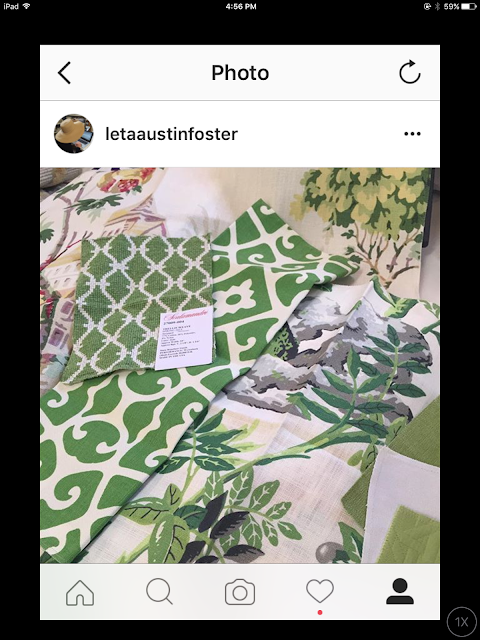 Jane Wilner, however, uses a blend of Cotton/Poly for her coverlets which makes them great for guest rooms and children's rooms and enable them to endure an abundant amount of washing. 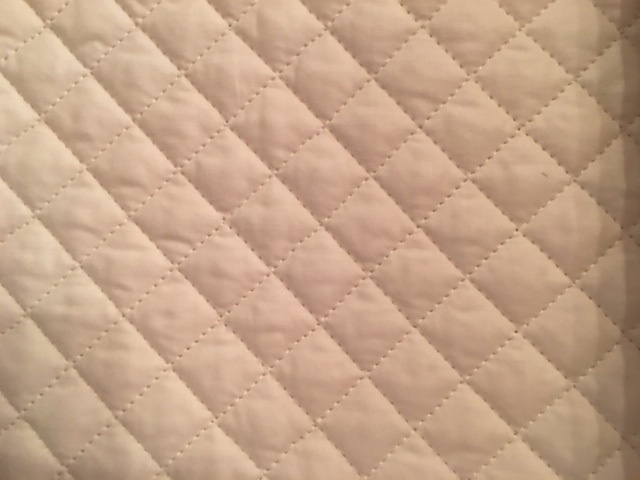 Ann Gish has some unique large-scale quilted coverlets which are made in both silk charmeuse and linen. They require a bit more care but they are beautiful. 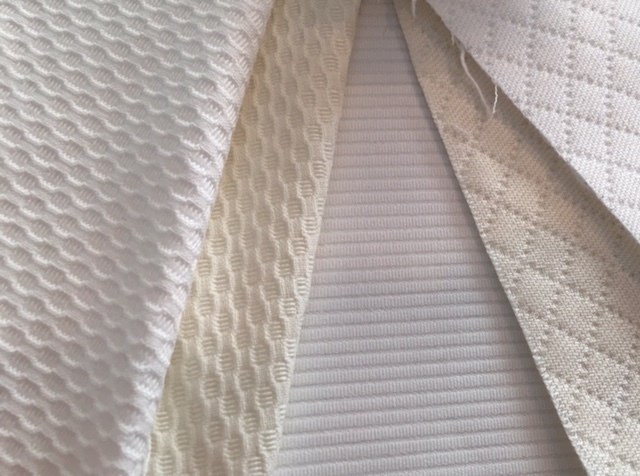 We are still able to order plissé blanket covers for those of you that want them. 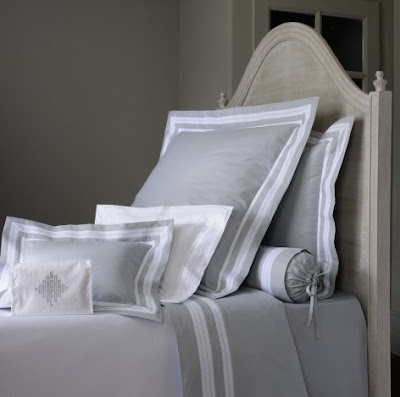 They are also great as a coverlet for warmer climates. That is, if you don't have an icebox bedroom. 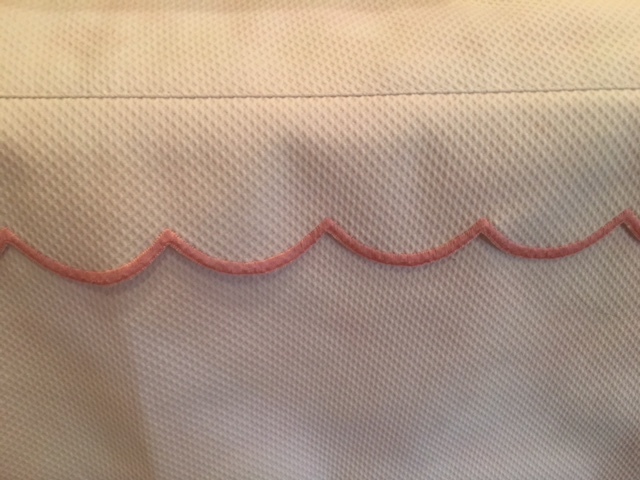 Another option you have with one of the average weight fabrics (i.e. 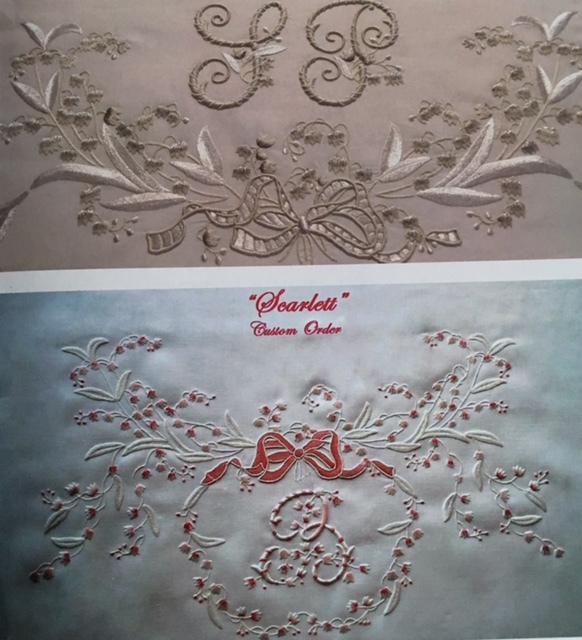 dimond-quilted or bird's eye piqué) is that you can embroider a design on it. 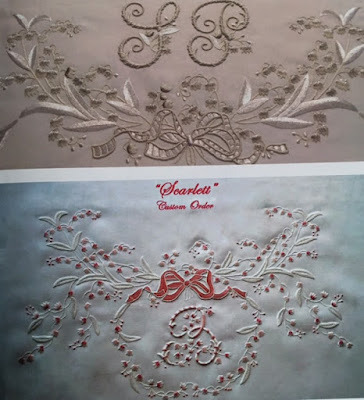 Many clients opt for a U-shape embroidery that runs along the top of the bed. 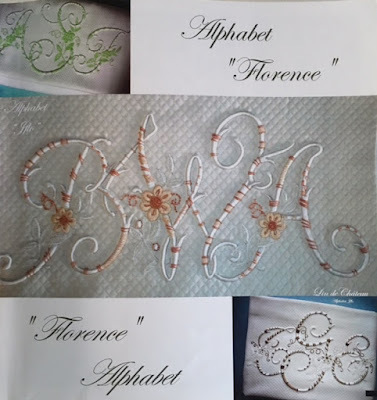 It can match their embroidered linens or be a unique design of flowers, lines, words, fruits.......really, any design you might like. 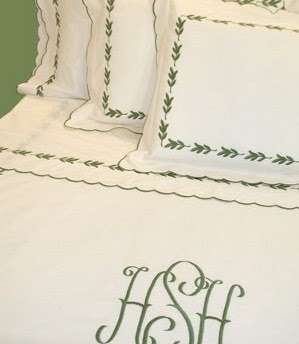 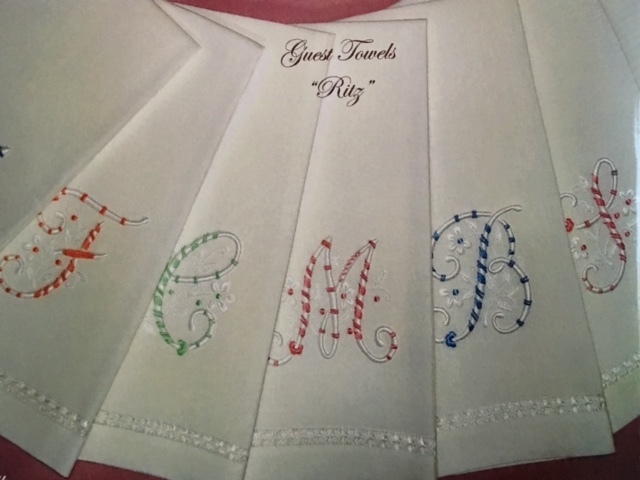 Monograms are an extremely popular way to embellish a bed coverlet. 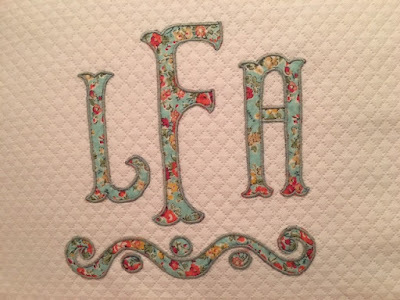 Choose from a hundred monogram designs or bring us your ideas for a custom one. 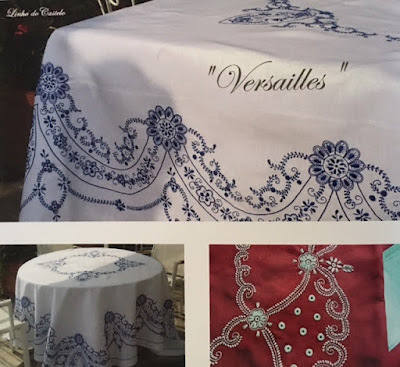 It can be machine embroidered or hand-embroidered and be as large or small as you want. 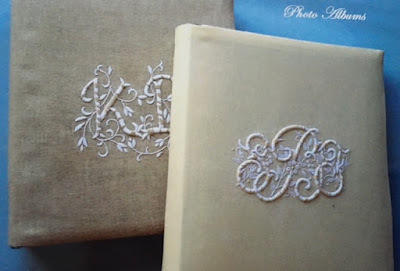 Use one color or incorporate several colors for your monogram. 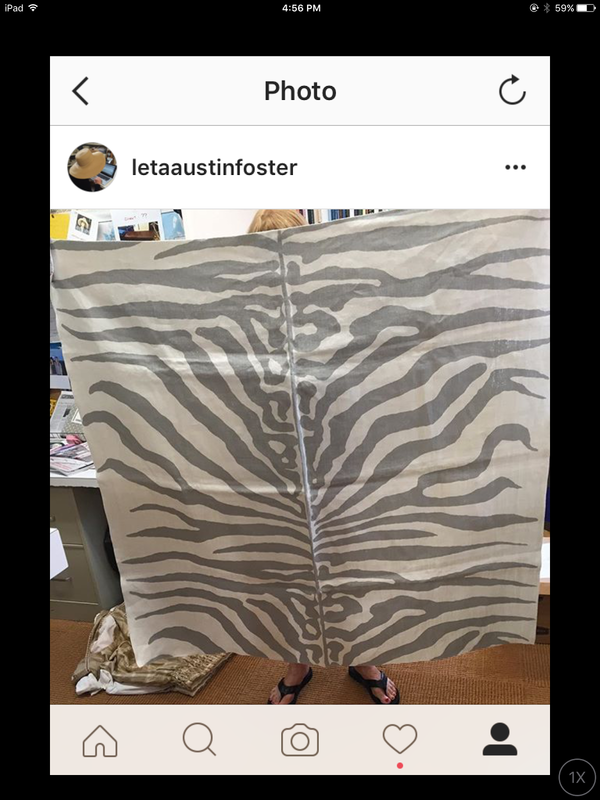 The sky really is the limit ! 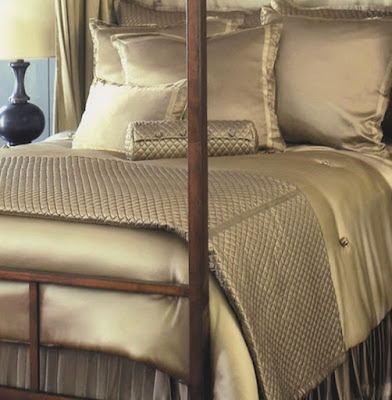 The next time you nestle yourself into your cozy, sheltering bed, think about how you can refresh your look. 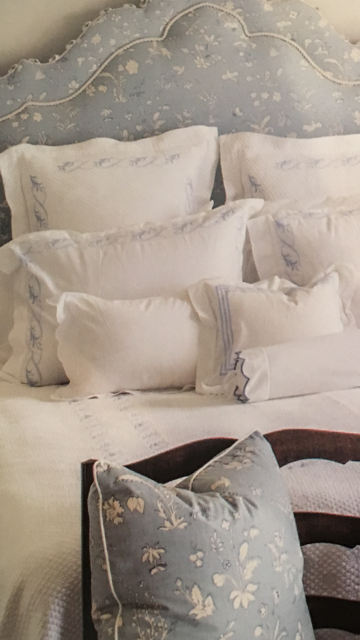 Add a new decorative pillow or a new set of sheets, but start with a new Bed Coverlet. 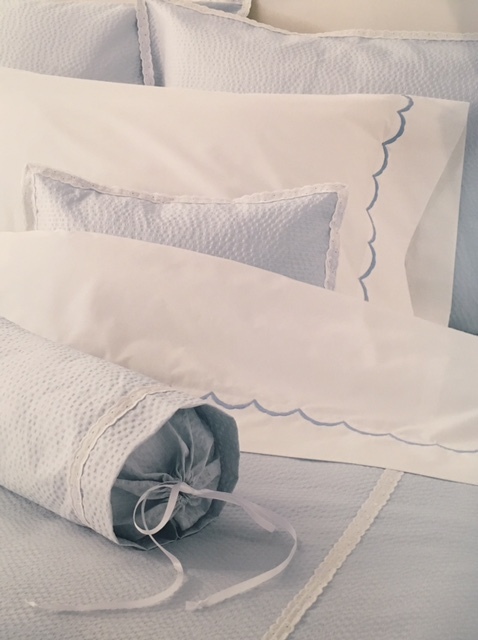 It is the most visible adornment for your bed and will spark new life into your room. 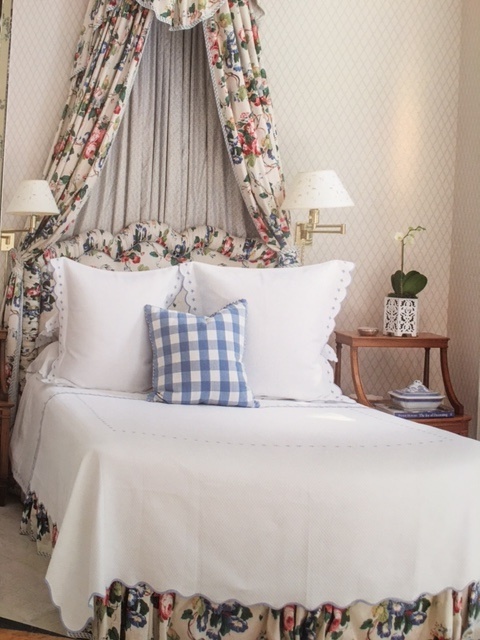 Oooo, la la... are you in for a treat! 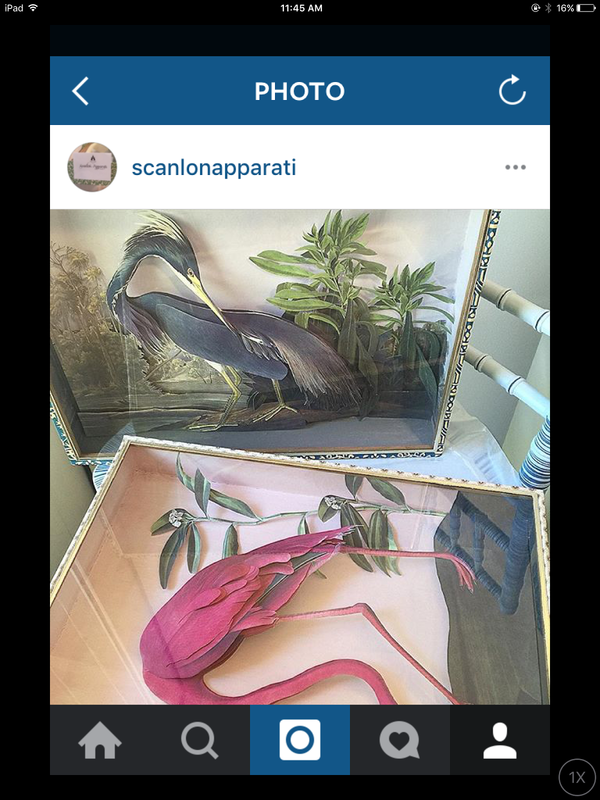 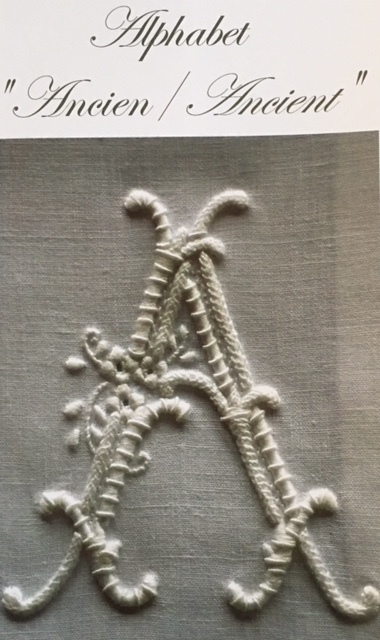 Lin de Château, our most beloved Parisian-based embroidery house is the topic of my blog today. The hand embroidered textiles that they have been sharing with us are the culmination of centuries of tradition and craftsmanship. 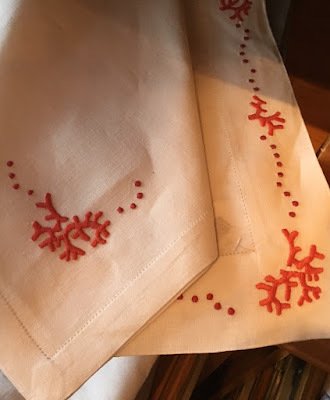 Their extremely talented (and I must add, patient) staff continue to produce the most extrordinary works of art to adorn our beds and tables. 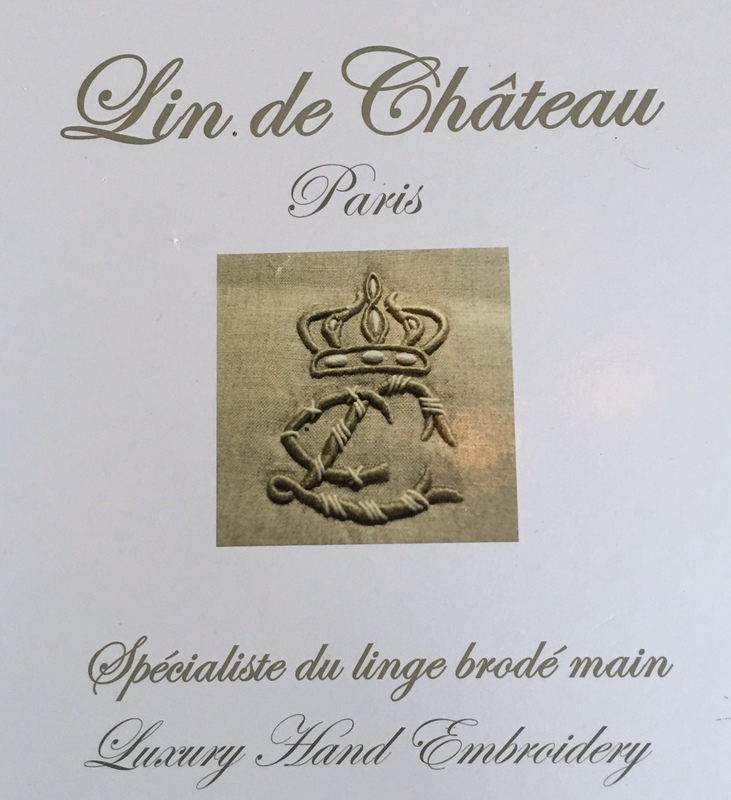 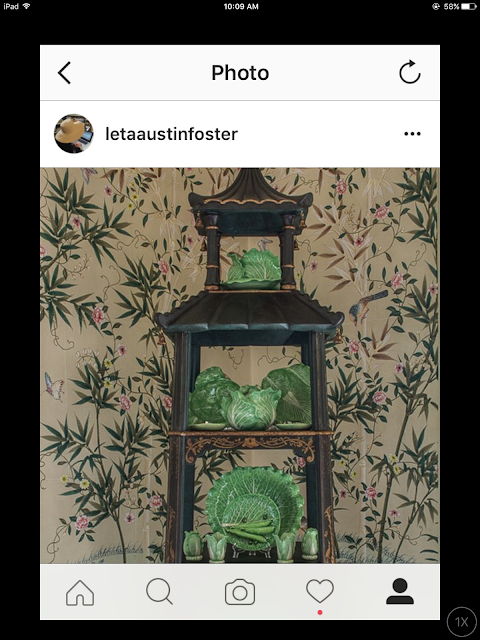 Lin de Château boasts over 800 embroidery designs and it is my mission to see every single one ! 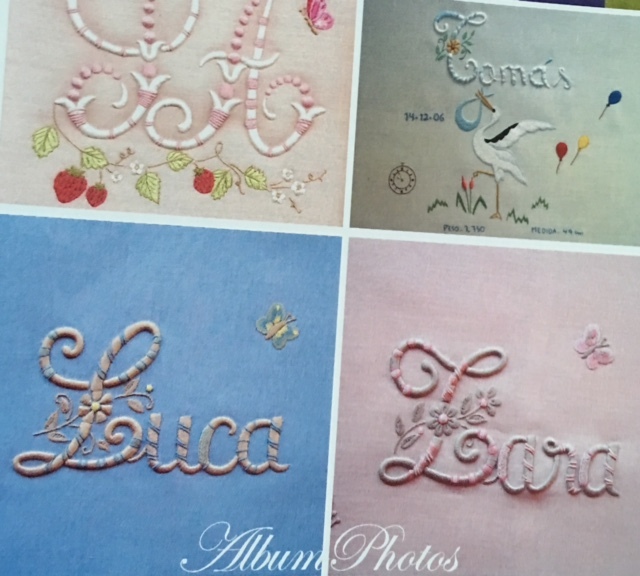 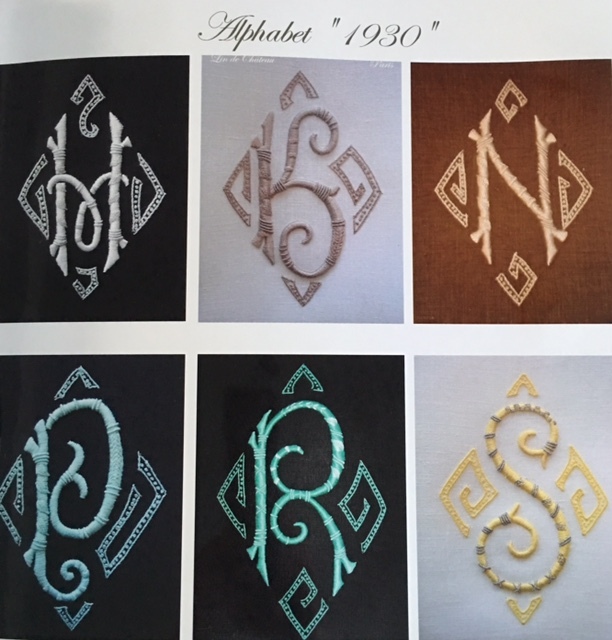 We have a book in our boutique that shows many of the different Monogram styles that you may choose from when placing an order. 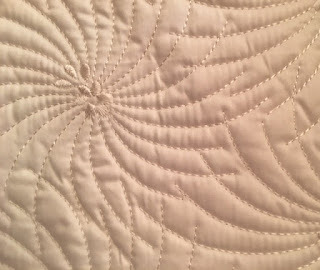 and on a bed coverlet. 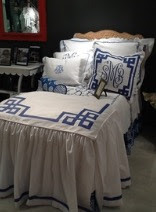 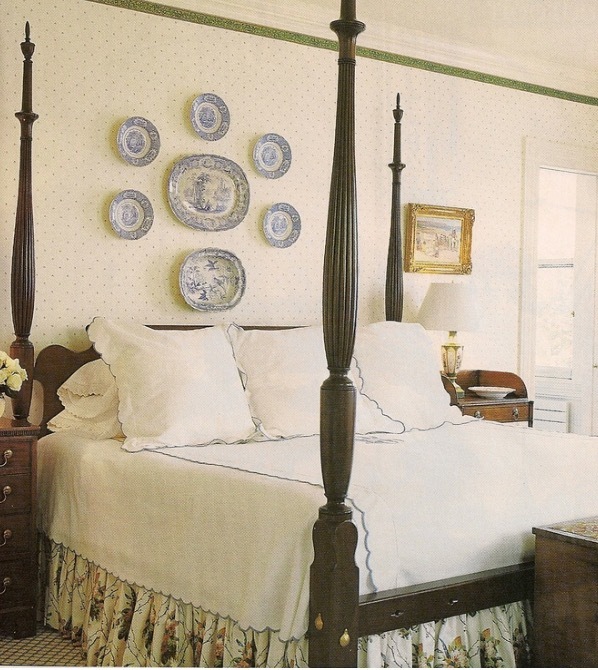 The bed coverlet that we have on display in our shop is a favorite of ours. We have ordered it for many clients in embroidery colors to match their boudoirs. 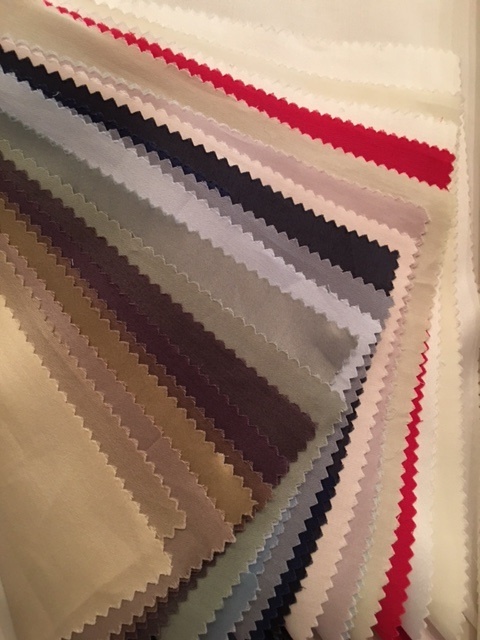 There are so many threads to choose from that there is really no reason that we can't match it perfectly to your current linens. 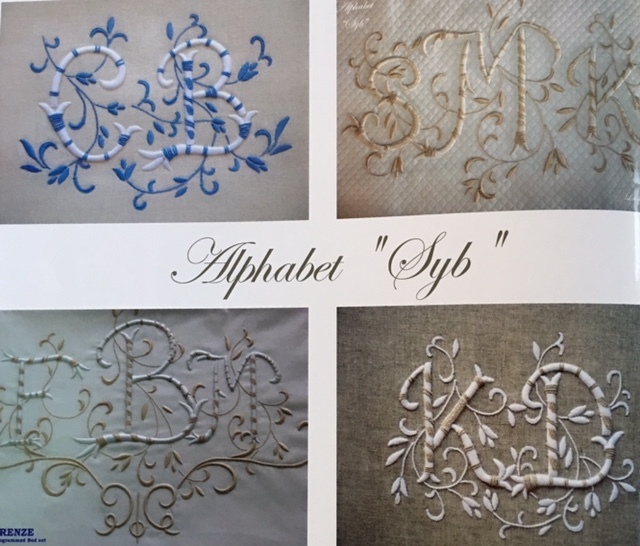 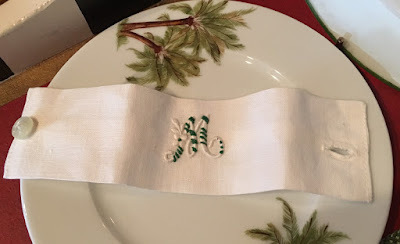 The hand-sewn monograms are made by stitching unique over-embroidery designs on top of a roll of satin stitched, letter-shaped cording. 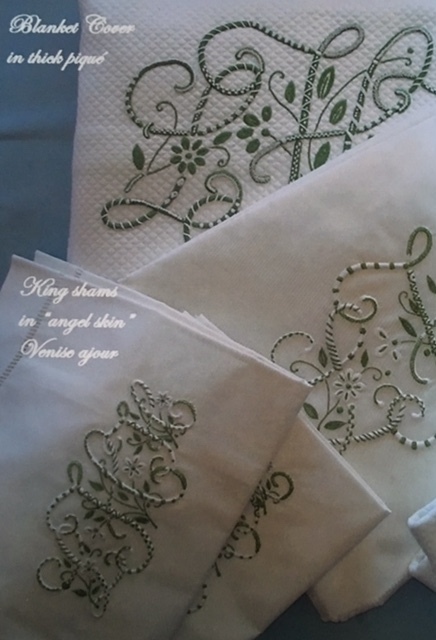 The patterns vary according to the style you choose and also according to the interpretation of the embroiderer. 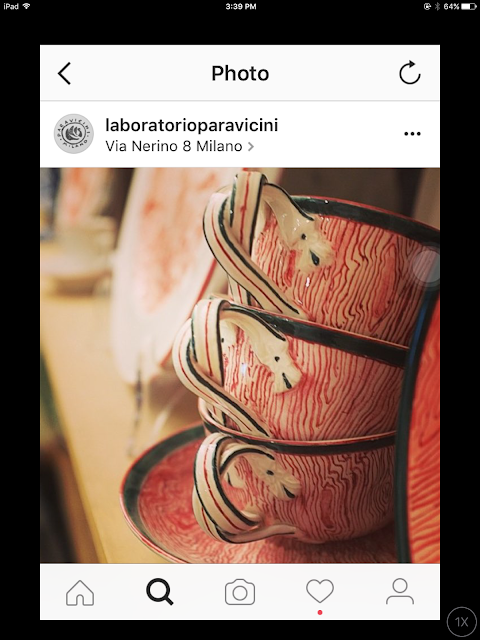 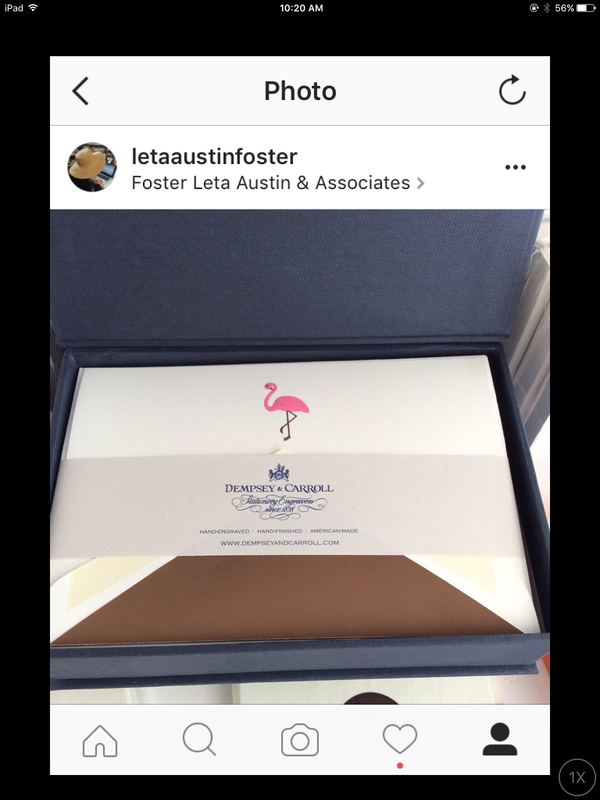 The current director of the company, Veronique Kibel Marino, kindly schedules trunk shows at our boutique every other year on average. It is a wonderful chance for our clients (and of course for us as well....mais, oui) to see all the newest creations. 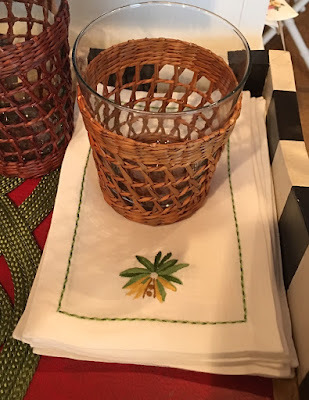 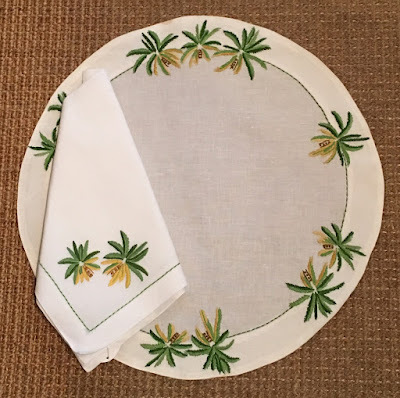 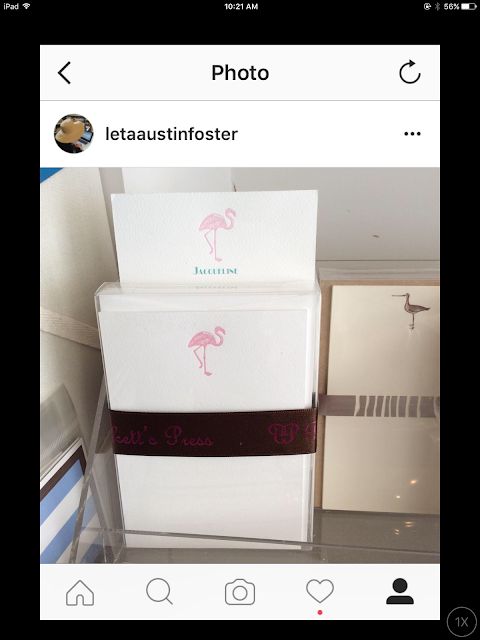 Throughout the Boutique, you will see stacks of placemats, napkins, guest towels and cocktail napkins all ready for you to make your own. 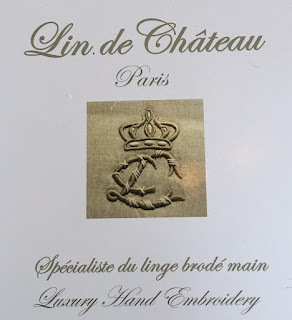 Everything that Lin de Château creates is meant to be used and loved. 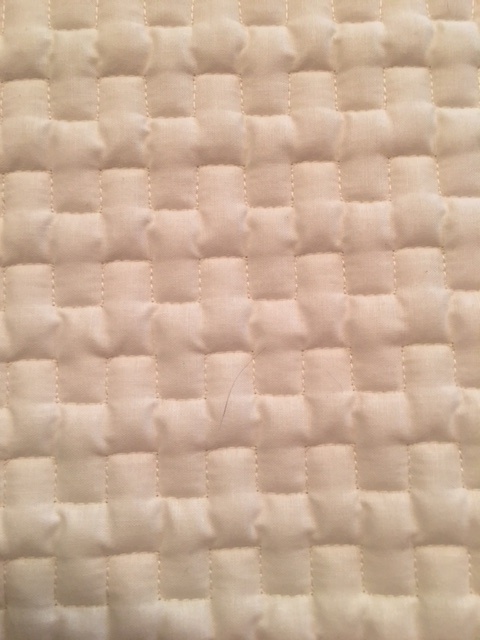 The bed coverlets with all that delicate stitching are sturdy enough to be washed in a machine. 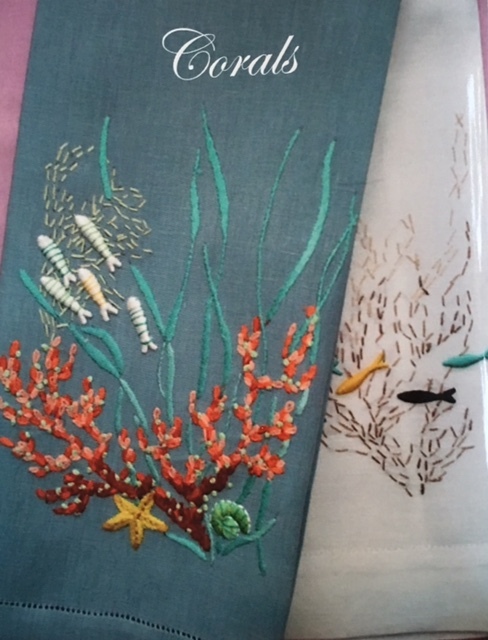 Even though the embroideries are museum quality, they should not be kept as though they are in a museum......you must enjoy them ! 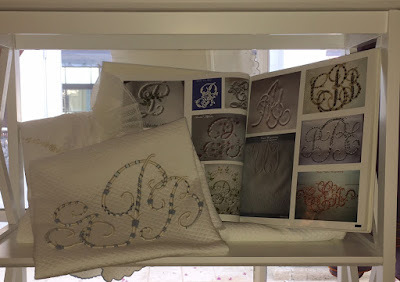 Monogramming is not limited to home furnishings. 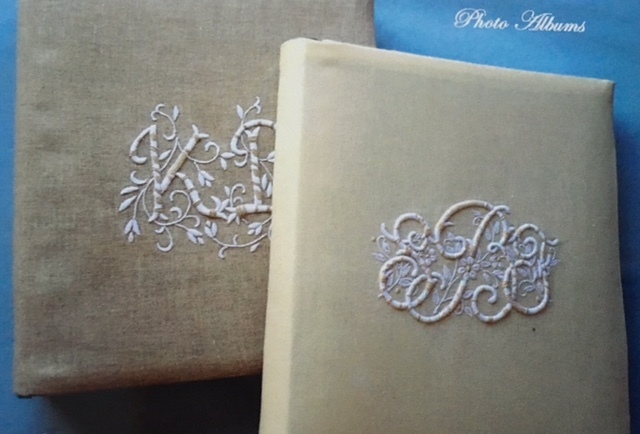 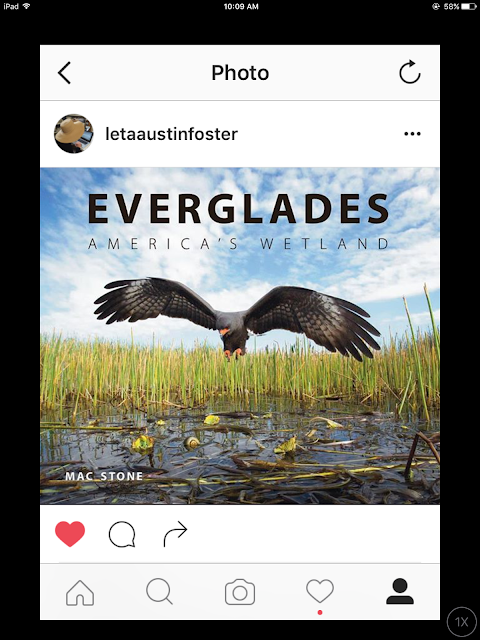 Lin de Château offers a wonderful photo album cover that you can have personalized for photographs of your children, your wedding or just your everyday life. 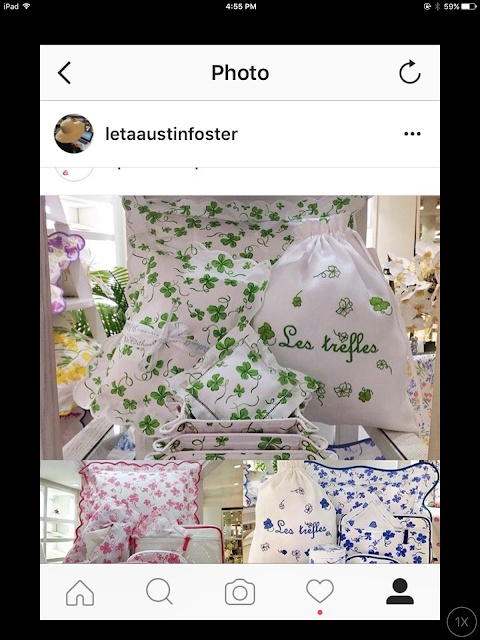 You choose the theme, the font and the colors. 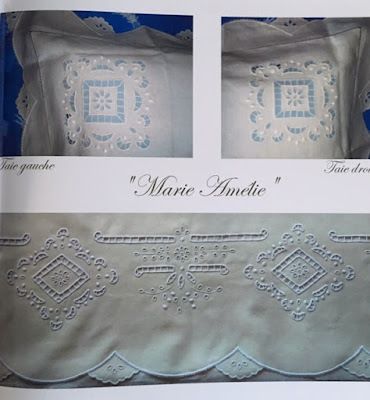 C'est marveilleux ! 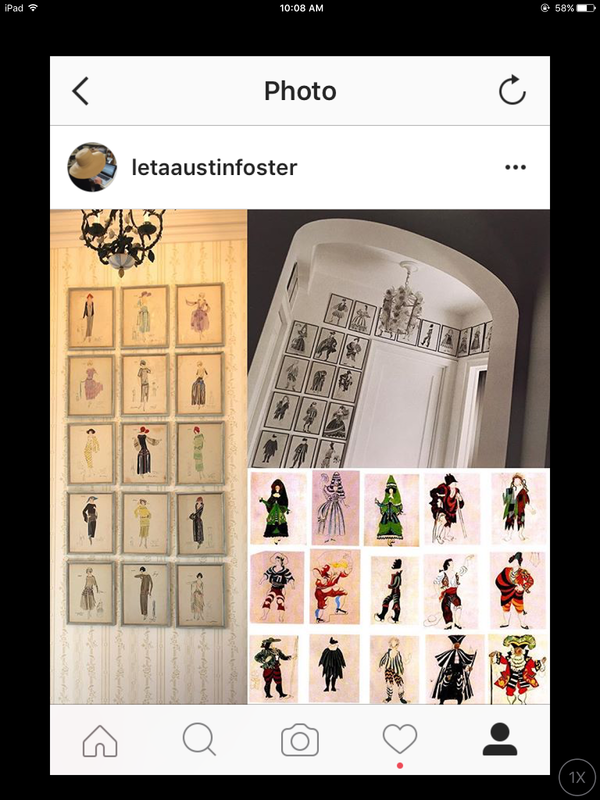 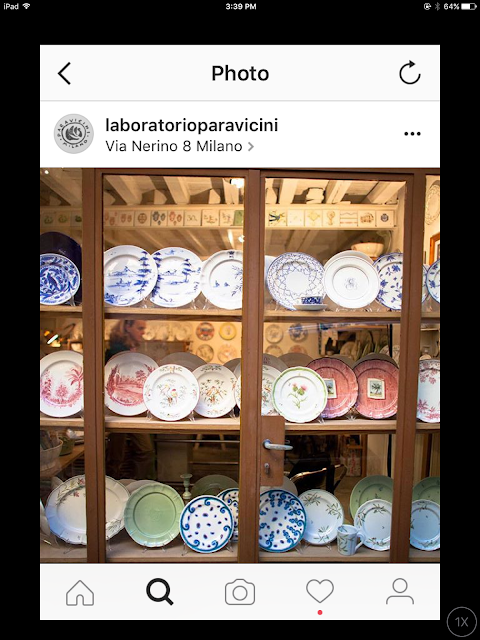 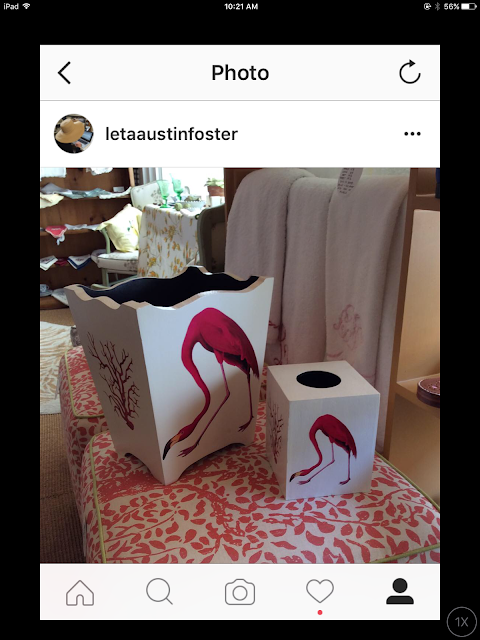 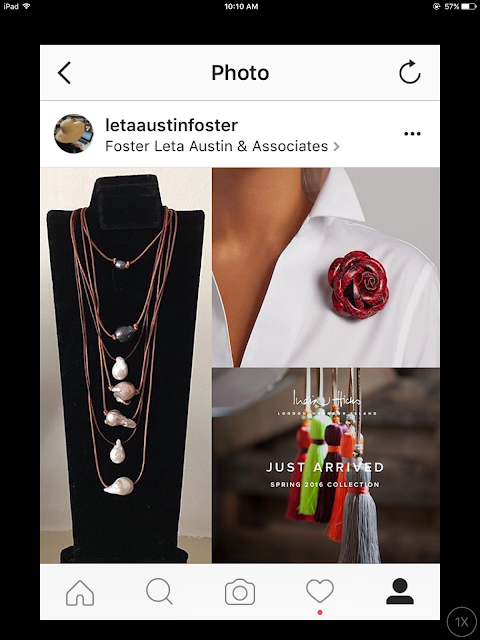 We will keep you posted for the next visit from our friend Veronique and all her beautiful creations so you can stop by and see them first hand. 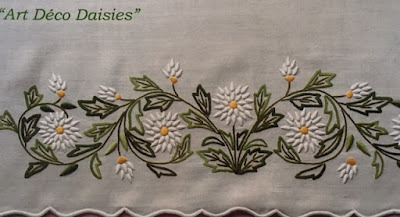 There is nothing more exquisite !